Since late last year, Japanese dessert cafes have mushroomed in Singapore and one of which is Nana's Green tea. Also known as the “Japanese Starbucks” and voted as the No.1 Japanese cafe brand among matcha lovers, Nana is extremely popular amongst the younger generation of tea drinkers. Some people may confused matcha with green tea--the former is powdered green tea but the latter served commonly in Japanese restaurants is simply ocha or sencha. As a matcha speciality shop, what could be better than a cup of Uji Premium Matcha ($7.50)? The quarter-filled bowl of frothy matcha is pricey but the bitter aftertaste qualifies the tag. After all, all the green tea used here are imported from Kyoto. For those whose tastebuds are attuned to the over-sweetened Starbucks latte or mass-produced green tea milk, the Matcha Latte ($7) would not be your cuppa of drink. But I liked this brew as it did not go crazy with sugar. It was slightly bitter and milky, with a dark green suspension of foam sitting above the liquid. From the chilled drinks selection, the Matcha Slushy Shiratama ($9-above pic) is a matcha slushy topped with matcha ice cream and mochi. It might be good to allow the ice crystals to thaw before enjoying the "slurry" texture or your taste buds may be too numbed to taste anything. Alternatively, go straight for the Matcha Shiratama Float ($9) which is similar but more of a milkshake than a frozen drink. Like any other cafe, Nana green tea also serves savoury food such as sushi rolls, rice bowls and udons. The Salmon Cream Sauce Udon ($14.80) came with firm chewy udon swimming in a pool of soupy cream. I always wished there were more sauce for carbonara-style pasta but not this time as the amount was more than sufficient. Rest assure that the richness of the cream will not overwhelm, as it does not cling and coat the udon. The best dish of the day was none other than their specialty matcha desserts--Parfaits. 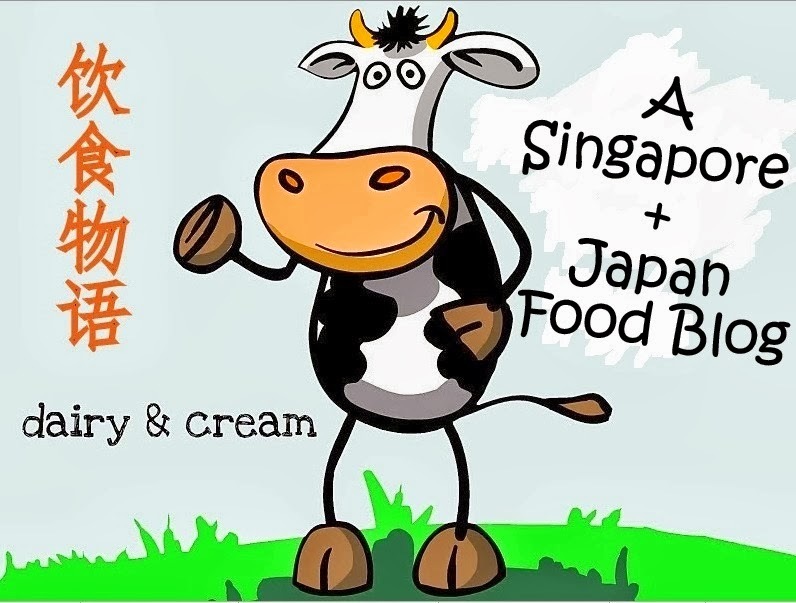 Like many others, I am often guilty of comparing Japanese food in Singapore to those in Japan. But the huge parfaits here were pure decadence, and admittedly better than Kyo Hayashi. Starting from a brownie-like green tea cake that looked like this cake from Patisserie La Vie Douce, the red bean paste and delicate whipped cream, I conquered happily into matcha and vanilla ice cream, colliding occasionally with crunchy cornflakes. Stranded in sweetness, there was no end so to speak, until I reached the bottom of kanten jelly with matcha syrup. Every ingredient was fresh, especially the chewy kanten jelly that was unlike factory-made lego blocks. Given the rarity of Houjicha desserts, why not try the Houjicha Parfait $13.80 if you had ordered the matcha drinks? Similar to the previous parfait but drenched in houjicha syrup and topped with houjicha chocolate gateaux, this dark brown dessert might be less eye-catching but equally stellar. I personally prefer this as the roasted nutty flavors intensified with every spoonful. Overall, Nana's Green Tea excels in what it specializes; and that is green tea drinks and desserts. Nana's Uji Premium Matcha has an adult taste suitable for those who wish to sip an authentic pot of bitter brew. And for those who can't resist having sweets to end their meal, the giant Parfaits here cannot be missed:) Check out the ongoing set lunch promotion shown above or visit their fb page for the latest deals! Have been to this place last Friday and love their green tea lots! Also, the food served are very healthy (i.e. millet rice) which provides us with a guilt-free and enjoyable dining experience !